WARNING: Do not watch this video if you suffer from epilepsy. 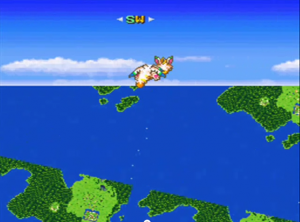 Yet another glitch from Secret of Mana, this time on the world map when you’re flying around on Flammie. I have no idea how I made it happen.